A solid oak stacking 3x5 card file has 45 drawers with solid brass label holders and pulls dates from the 1920's. 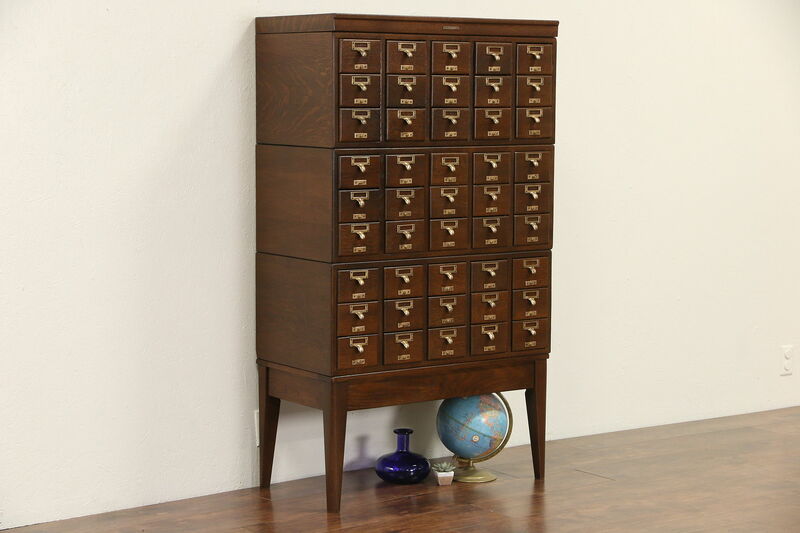 The finish is in excellent condition on this antique file cabinet, which is five stacking sections. Most drawers have pushers. The signature, "Library Bureau," refers to the Carnegie Foundation, which fitted libraries across the country with superior quality furniture like this in the early 1900's. Dimensions are 33" wide, 15" deep and 57 1/2" tall. See 23 photos on Harp Gallery website that enlarge to full screen size.